IM Marc Esserman co-won the event with a 3.5/4 score, the only draw coming to his nemesis BYE, whom he has never beaten. 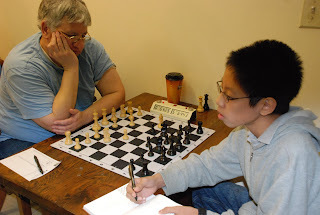 Frank Wang (left) plays club stalwart Mike Griffin. Wang would go on to get 3.5 and share first with IM Esserman. 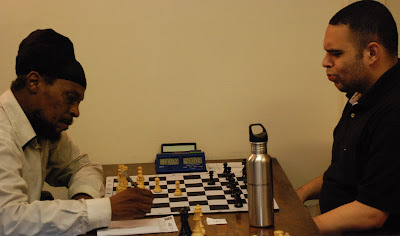 Nithin Kavi (left) faces down LM Eric "Juggernaut" Godin. This would be the only tournament all month Godin would not win. 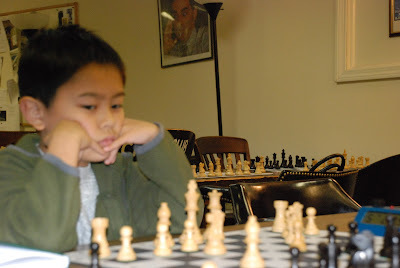 He finished 13-0-5 in Boylston games for the month of October. Reigning club champion FM Chris Chase (left) plays Luke Lung. 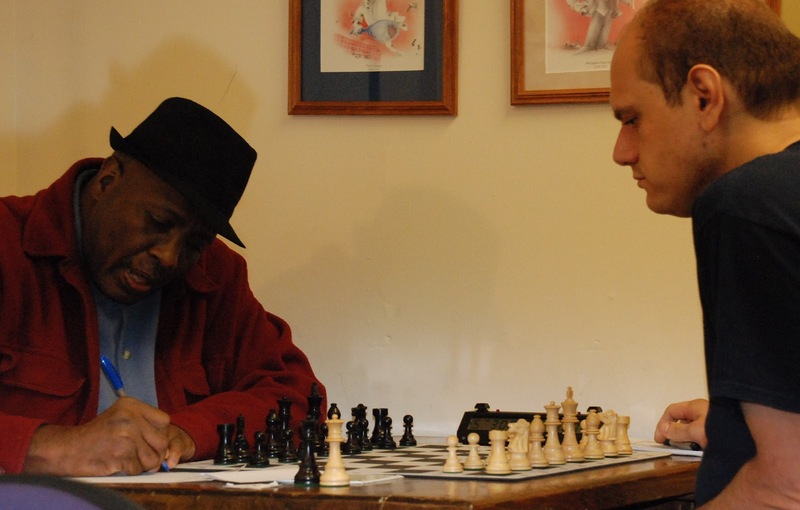 Club president and noted blog author Nathan Smolensky (left) plays William Collins. Smolensky regretfully failed as president to inform the club that it was Hawaiian Shirt Day. The Boylston welcomes Fridrik Karlsson (left), who made his club debut with a strong 3 out of 4, good enough for the Under 1800 prize and a solid rating gain. Here, he plays up-and-comer Chen Bai. William Wisdom (left) plays Oliver Traldi. 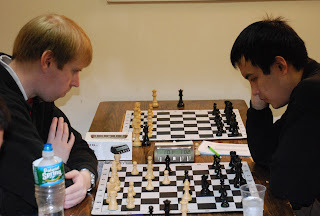 On the next board, Alexander Roy (left) plays Tony Di Nosse. Jerry Williams (left) plays Emmanuel Mevs. Join us next week for BCF Quads! Photos courtesy of Steve Stepak. 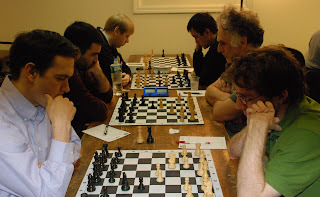 This past Saturday, a Tornado struck the Boylston, sweeping up our players in a whirlwind of wild chess. 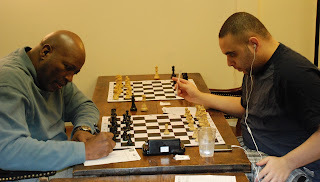 Left standing at the end of it were LMs and club members Eric Godin and Hal Terrie, who scored 3.5 points apiece. Join us again this Saturday, October 27th, for our Fall Open! A year ago today, as the Autumn leaves were beginning their descent towards the New England ground, a crowd started to gather around an unfamiliar sight in South Station. Some recognized the local legend, though many more asked members of the growing audience who this fellow was who seemed to be playing everyone around him at the same time. 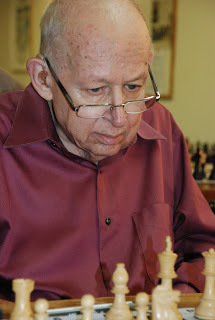 It was, of course, GM Larry Christiansen, the three-time U.S. Champion, showcasing his might against all those eager comers. 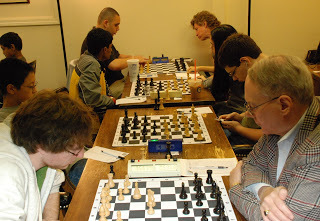 He would lose three games that day, against a trio of strong players (pictured above, seated in front of Larry) who happened to be sitting next to each other. He would win eighteen others, of course. In the meantime, the crowd kept growing, gazing at the sheer feat and at the mastermind who executed it. With that, the first South Station Simul was declared a success. That was one year ago today. 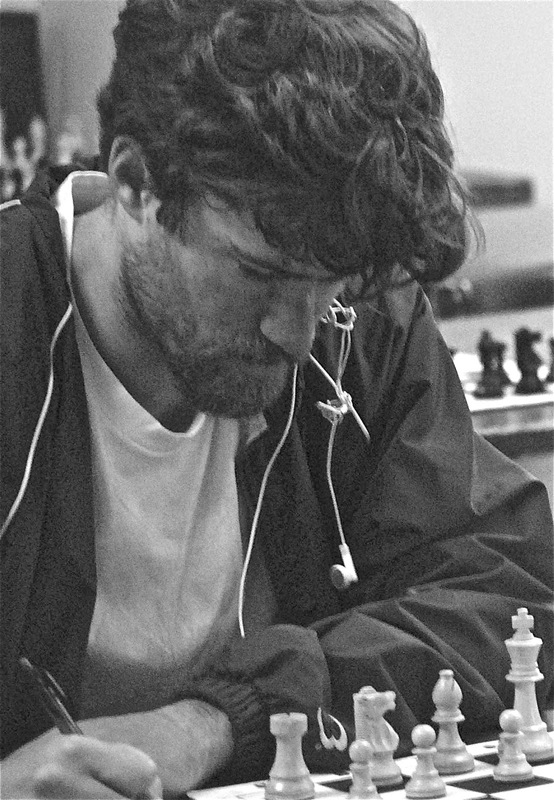 Since then, GM Christiansen wiped away whatever rust may have been bothering him the first night. 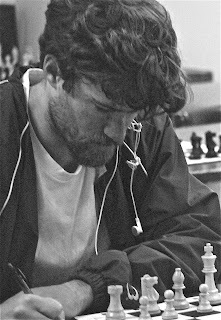 No simul since the first has seen more than a single winner, despite a multitude of experts and a number of masters taking the legend on. In the two most recent events, he would finish utterly unbeaten and undrawn. After the first few simuls were run somewhat sporadically, the event itself has settled into some consistency as well, being held on the second Tuesday every month. I wanted to take this opportunity to thank everyone who helped make this possible. To Larry, for giving us these displays month after month. To our wonderful former president, Jason Rihel, who spearheaded that first effort.at the station. To club board members Doc Kinne and Natasha Christiansen, whose efforts and energy have been crucial in promoting chess in the public square. To Ted Furst, Matt Coogan, and everyone else involved with Biederman Redevelopment Ventures, who first brought the idea of promoting chess in the city to our club. And finally, to the players themselves. It has been a wonderful year. Let's keep this South Station train rolling! With regret, it has been announced that the Quincy Chess Club's Evening with International Master David Vigorito has been postponed until further notice due to a lack of response from the community. We would like to thank IM Vigorito for his participation & support and hope to give this another try as the club in Quincy matures. The Boylston Chess Club Annual Meeting! As We Announce the Annual Meeting of the Boylston Chess Club! Here you'll hear news of how the Club has done over the past year, and perhaps some of the ideas people have for next year? Do you have an idea? Come and share it with us! 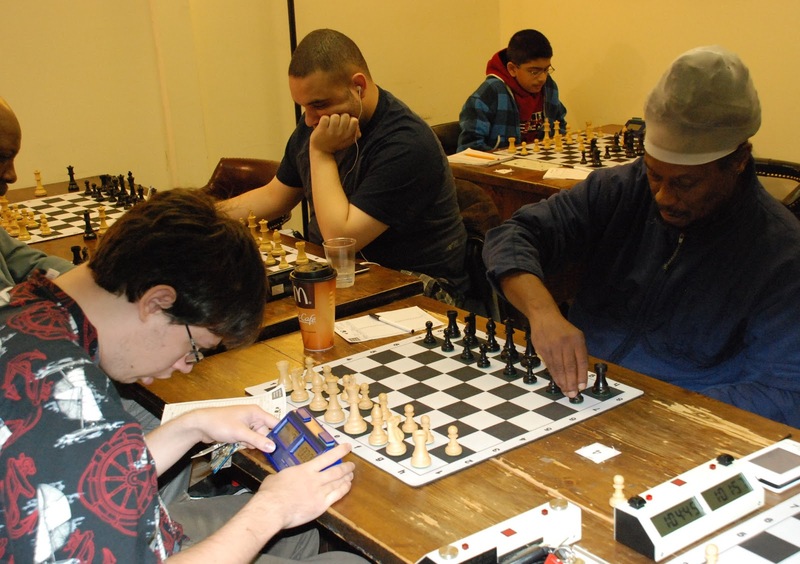 The Boylston Chess Club has proved to be one of the most progressive and successful in MA, and that reputation comes from you, our members. Want to help out? Thinking of helping the Club go? Why not run for the Board? 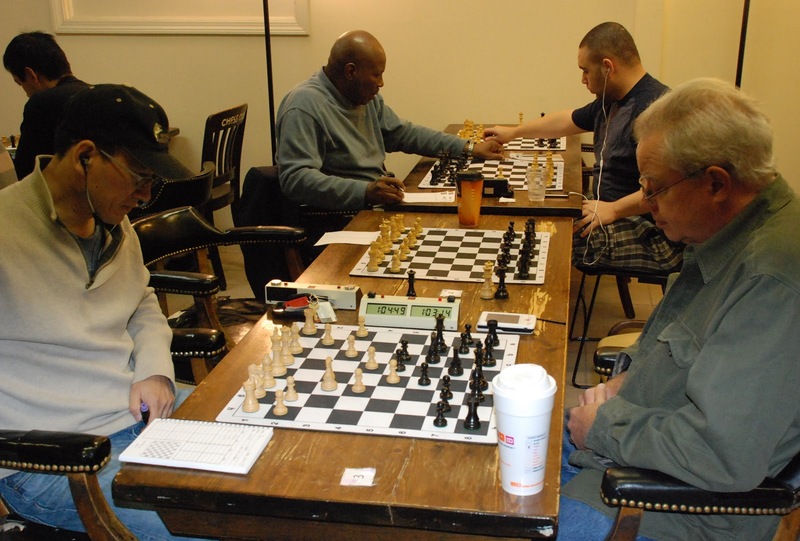 The Boylston Chess Club Board has been described as "one of the two best Boards I've ever had the pleasure of being on," by Doc Kinne. And since he's been on no less than six boards through his life he should know what he's talking about. Sometimes. 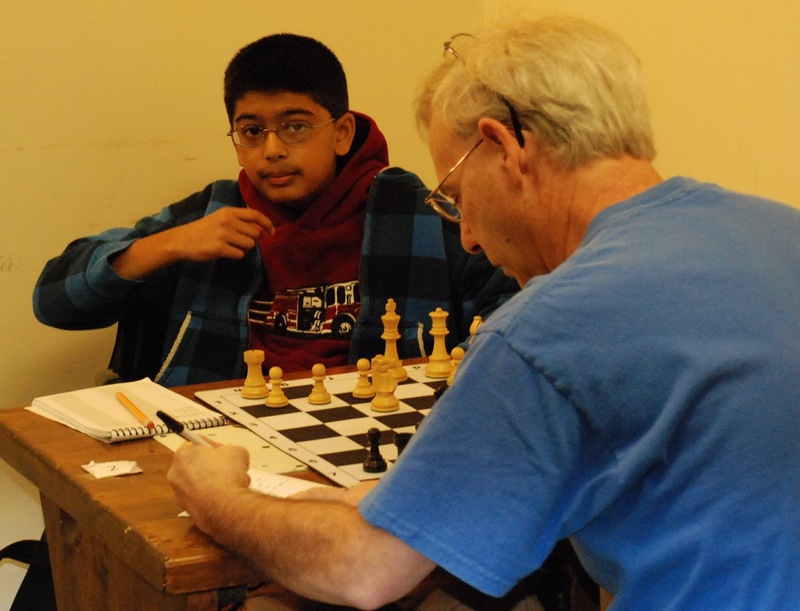 The Annual Meeting will be held at the Boylston Chess Club Tournament Hall at 7:00PM on Tuesday, 16 October. Mark your calendars, folks, for the first in what is hoped will be many events and cooperative ventures with the newly resurrected Quincy Chess Club! 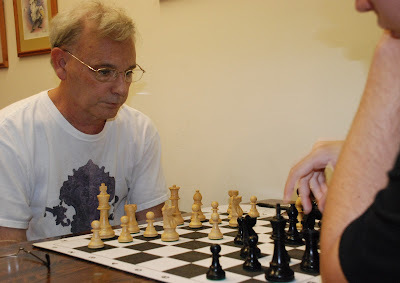 Join the Quincy Chess Club on Friday, October 19th , from 7.30-10.30PM, for an exclusive evening of dinner and chess with Boylston's own International Chess Master, David Vigorito. 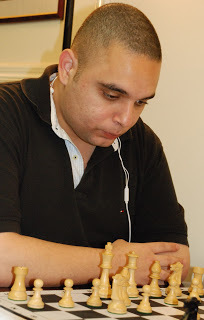 International Master Vigorito will conduct a simultaneous chess game exhibition playing 20 chess players at one time. Master Vigorito will also give a chess lecture and hold an open question and answer session. Dinner is included and will consist of buffet style Chinese cuisine. 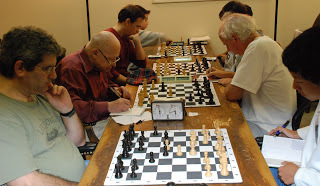 $30 for dinner, lecture, and to play in the simul (20 person limit). $20 for dinner and lecture only. For questions or to RSVP, contact President Dan Racine from the QCC at 1-857-888-1531 or email: quincychessclub@gmail.com. Payments via PayPal can be sent to President Racine at dcrdcr@gmail.com. This promises to be a fun evening that will also help to start to revitalize chess along the South Shore! As the second Tuesday of the month approaches, so too does our local GM's regular public display of force. Out of mercy, we are limiting him to winning on only twenty-five boards at once, from 5:00 PM until 7:00 (people may continue to start games until 6:30) at Boston's own South Station. Do you have what it takes? Meet Your 2013 MA USCF Delegates! One of the responsibilities of MACA as the MA State Affiliate is to recruit and select state delegates to the USCF for the coming year. 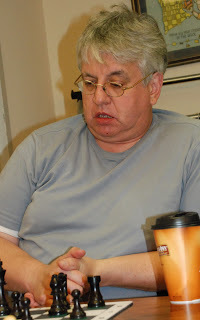 Among other things, these Delegates attend the Annual USCF Delegate Meeting, held during the US Open to propose and approve legislation of various types, from By-Laws to various Committees. Each "state" - and I put that in quotes because, according to the USCF Northern CA and Southern CA are states, as is the District of Columbia - get a number of Delegates based on their USCF population. Massachusetts is allocated three. They select three Primary Delegates, and also three Alternate Delegates to step up in case something happens with the Primary Delegates. 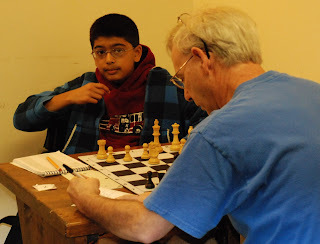 This year's Delegates were special because virtually 50% of them are Boylston Chess Club members! Ken has been an MA Delegate for a number of years. 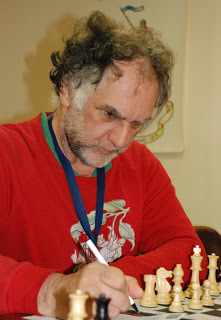 He is a National USCF Tournament Director, and a FIDE Arbiter. 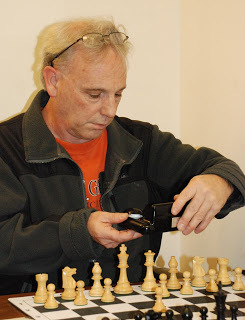 Ken is active on the Elections, Rules, and Tournament Director Certification Committees of the Federation. 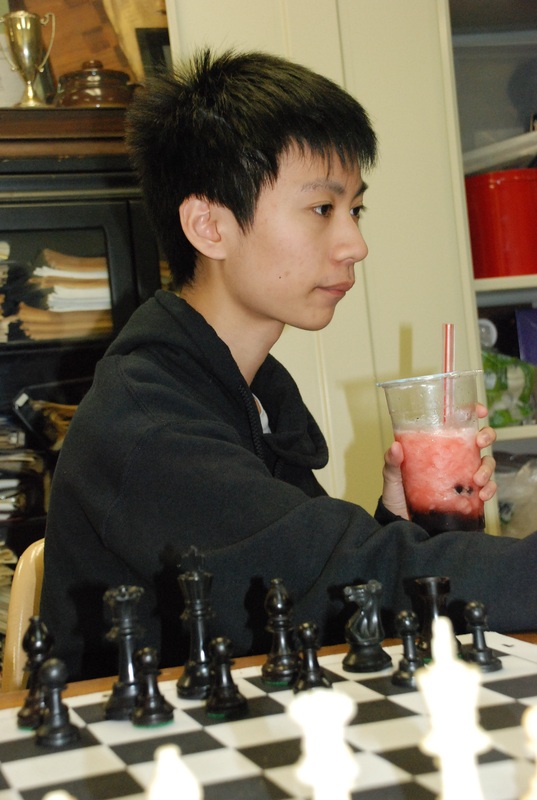 He is part of the Metrowest Chess Club where he is on the Tournament Directing Staff. 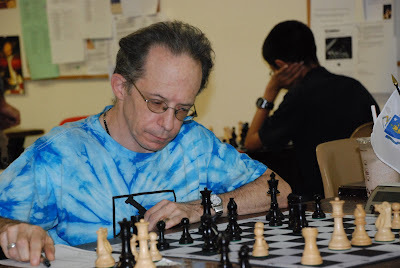 Bob is a very active Associate National USCF Tournament Director having directed more than 2000 sections in 420 different events since 1991. 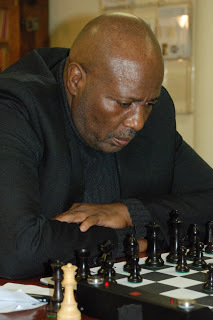 Last year he was created a FIDE Arbiter. Politically, Bob is also very active holding the office of Treasurer of MACA as well as heading various Committees on that Board. 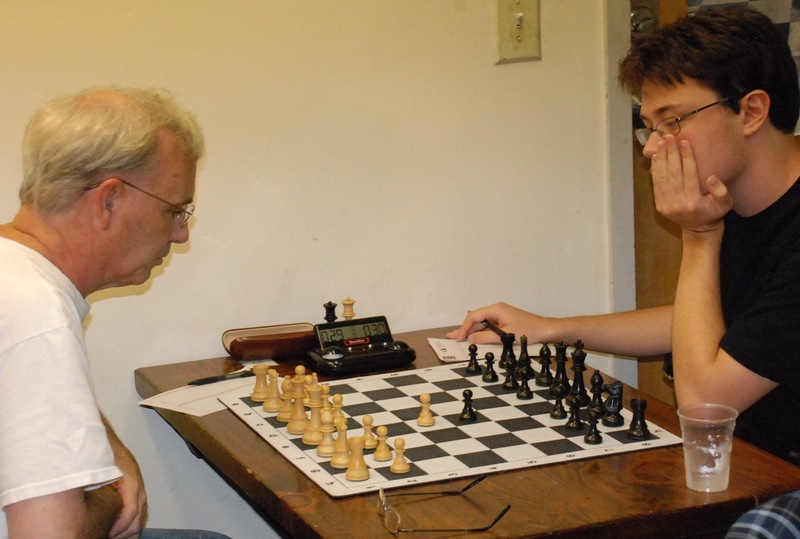 He is also President of the New England Chess Association. In his non-MA time he directs for the CCA. 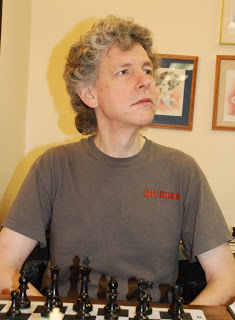 Doc is new after having returned to chess almost a year and a half ago. 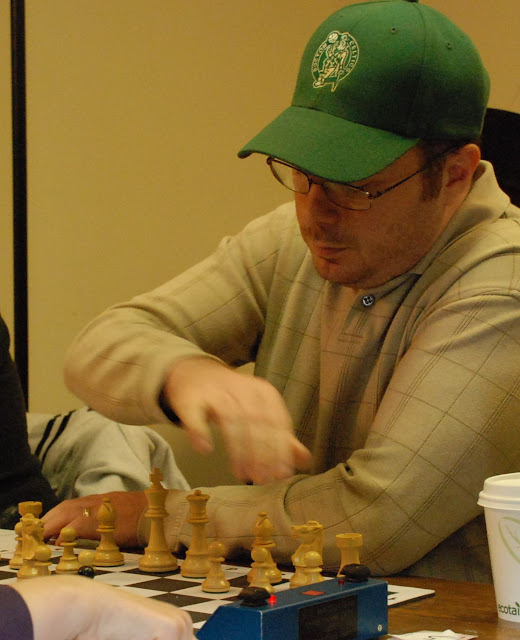 He is a Local USCF Tournament Director, Clerk for the Boylston Chess Club, and on the MACA Board of Directors. This is his first time as a Delegate, and this will also be his first US Open. Walter is a member of the MACA Board of Directors. 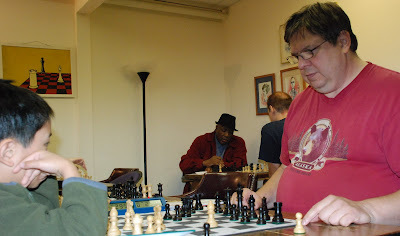 He is a Local USCF Tournament Director where he mainly organizes and directs the Charles Drafts Memorial Tournament at the Boylston Chess Club. Nathan, a recent Boston College graduate, is a new member of the MACA Board of Directors. 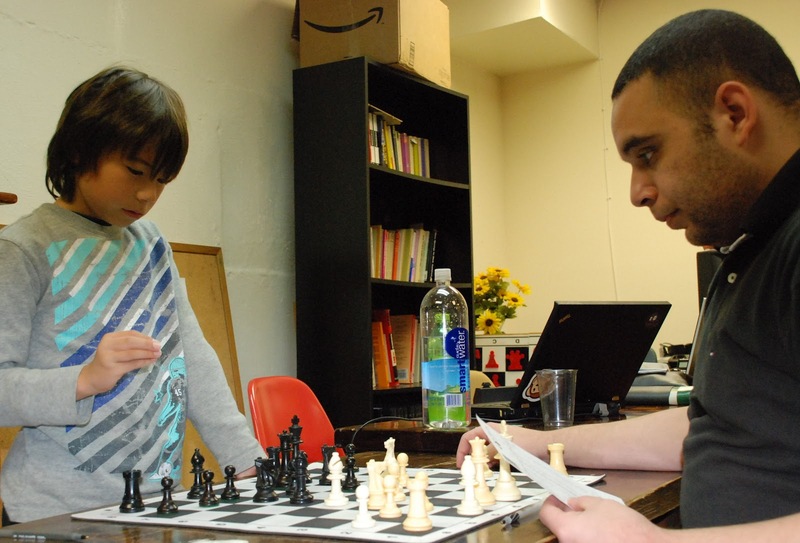 He is also on the Boylston Chess Club Board and active in reviving that club's scholastic program. 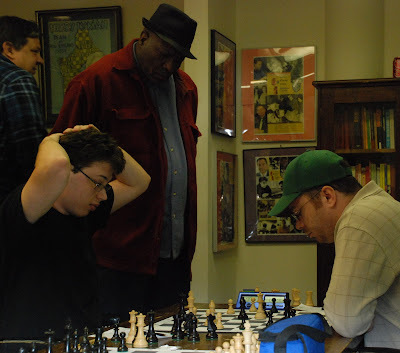 As a Local USCF Tournament Director Nathan is very active on the Boylston's Directing Staff as well. At 17 Andrew has already built up an impressive playing resume. 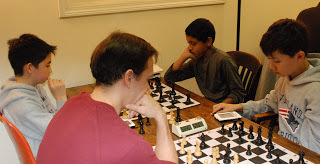 He has been MA State Scholastic Champion multiple times, National Scholastic Champion, and also part of the USCF All-American Team for several years. This will be his first foray into chess politics. 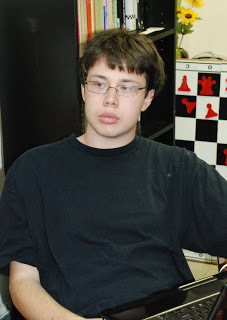 The Wachusett Chess Club does a monthly, 30 minute, chess TV show at the Fitchburg Access Television studios. This show, besides being cablecast, is also netcast via the internet. You can find current, and past programs here. 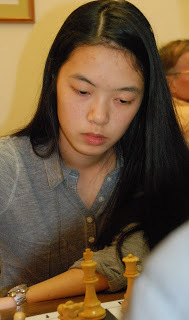 This month's October program is dedicated to a Boylston Chess Club member fast becoming one of Massachusetts' favorite daughters in chess - Carissa Yip. Program hosts Wachusett Chess Club President George Mirijanian, and his co-host Martin Laine, talk with Carissa and her father, Percy, about how Carissa got started in chess, a recent game she played at the 81st Massachusetts Open, and her exciting plans to represent the United States at the World Youth Championships in Slovenia! 3-5th Eric Godin, Billy Collins and TD Nathan Smolensky with 4 points. 8-9th Tom Laaman and Jerry Williams with 3 points. 10th Natasha Christiansen with 1 point. 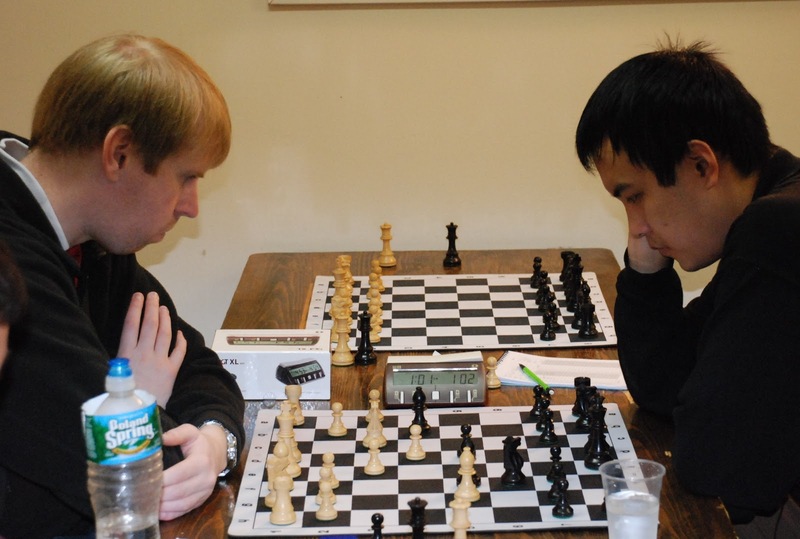 11-13th Eddie Yi Ming Wei, Anthony di Nosse and Evan MacLure with 0 points.